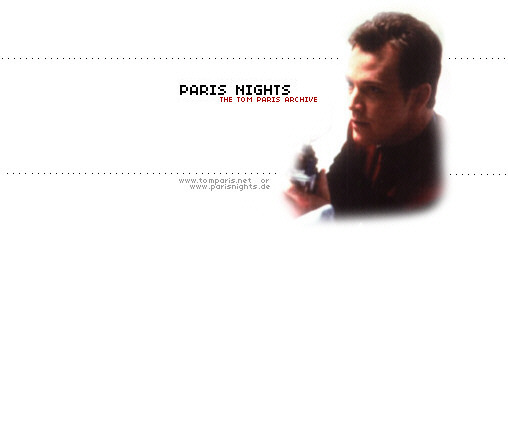 If you want to, check out Paris Nights's new message board! Online since December the 18th 1999. Visit Paris Nights sister sites! Star Trek and related marks are registered trademarks of the Paramount Pictures Corporation. All rights reserved. Please don't reproduce without my permission, if allowance is not given.